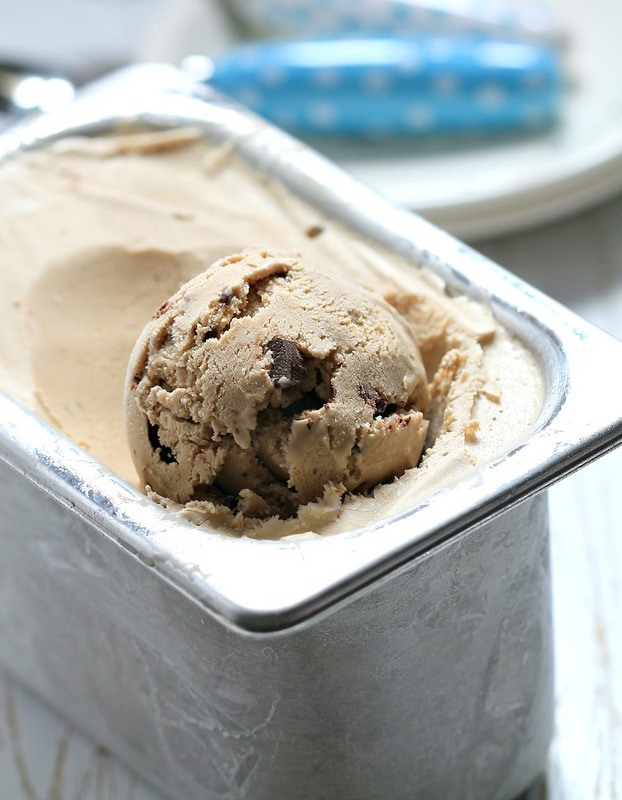 my bare cupboard: Coffee-chocolate ice cream "
I need to get back my blogging mojo ( I swiped the words from Lena's ) . Blame it to the heat or the usual lazyitis . Lately though , I started using my camera shooting flowers and some other random things outside , okay , not much since it's really effin' hot these days . But at least the camera isn't so fat anymore , shooting only all those food hee hee So , if your interested in flowers or orchids particularly , check out my 500px or my not-so updated Flickr . 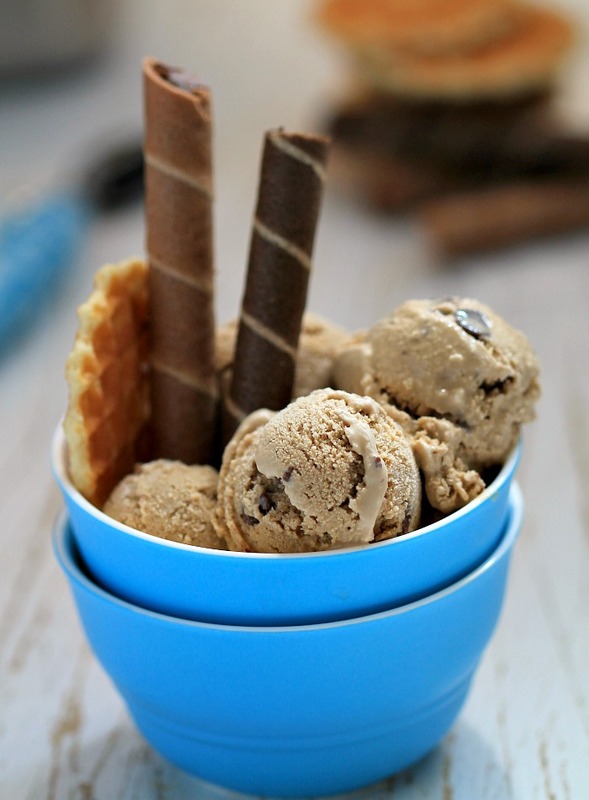 Oh , back to ice cream , I saw this coffee-choco ice cream @ Southern Living and just can't resist ! So far , I've made 3 flavors of ice cream , the cheaty peach ice cream which was so disappointing , the strawberry ice cream lacks something , yeah , I should have added more sugar in it *sigh* Since third time's the charm , I got this smooth , creamy and just wonderful coffee concoction that instant coffee lovers will surely love ! It's custard based ice cream that uses only one egg yolk , the tapioca makes the custard easier to do , the mixture just thickens beautifully . Instead of chopping the chocolate chips , which I did initially but it was so hot that day that it keeps getting soft as I chopped it so , I added most of it whole into the ice cream . If you're keen on making homemade ice cream but don't have the ice cream maker , fear not , use your trusty handheld mixer ! If you don't have that then you are hopeless ! * In a medium saucepan , whisk the first 3 ingredients then gradually whisk in the milk and the cream . Cook over medium heat , stirring constantly for 8 to 10 minutes or until mixtures thickens slightly . Remove from heat . * In a small mixing bowl , whisk the yolk until slightly thickened , gradually whisk in about a cup of the hot cream mixture into the yolk . Add the cream-yolk mixture back into the remaining hot cream mixture , mix well to combine . * Strain mixture through a fine wire-mesh strainer , let cool for an hour , stirring occasionally . Place a plastic wrap on top of the custard and chill for at least 8 hours or overnight . * Pour mixture into the ice cream machine and churn for 45 minutes , adding the chocolate chips in the last 3 to 5 minutes of churning . Transfer mixture into a freezer-proof container and freeze for at least 4 hours preferably , overnight . * If you don't have the ice cream maker but have too much time on your hands , do it manually . Make the custard and chill it , an hour or more , your choice . Transfer it into a freezer-proof container or use a loaf pan , freeze for 45 minutes to an hour . Take out from the freezer , use a fork to scrape the mixture , then whisk the mixture using the handheld mixer until mixture is slurry then put it back into the freezer and freeze for an hour . Do it twice again and you'll have a creamy homemade ice cream ! Missing you my friend, can I have some of your yummy ice cream? Hi Anne, I saw your pretty flower pictures on G+. And your ice cream looks good too! It's quite difficult for me to take good pictures of an ice cream especially in our hot weather here. Any tips? Welcome back to blogger world! Haha, been wandering about you! Yummilicious ice cream! I've made some chocolate ice cream a few days ago, and my ice cream maker kinda gone cuckoo! Ice cream did not set, put it in the freezer, and was really lazy to do the manual way, thinking of washing the mixer over and over, makes me cringe! Yup, lazy me! My kids ate the icy-ice cream up anyway, and say it is delicious!!! It is delicious, though the texture is not there. Recipe from Jeni Britton. I have not got that book yet, it is still on my long wishlist! You've been away too long...I was always looking forward to your coming post..glad you're back:) Anne, I would love to make homemade ice cream like you...but for the moment it seems easier to buy from supermarket...we consume a lot of ice cream these days..no way I can cope with the demand LOL! Homemade ice cream is the best! Thanks for sharing, Anne. I love both your ice cream and your clicks!